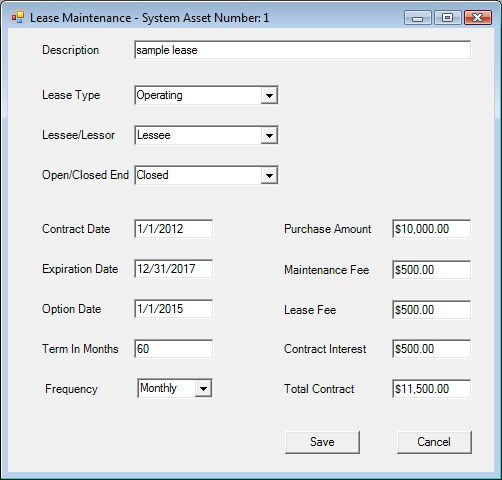 This companion module to the Bassets Fixed Asset System enables the user to maintain basic lease information about leased Assets. The available lease information is: Lessee/Lessor, type of lease, contract, expiration and option dates, term of lease, payment frequency, purchase amount, maintenance and lease fees, contract interest and total contract amount. The lease data is available in the custom report writer for the user to generate reports.